Inspections Scheduled Online this Month! Safe House Home Inspections provides Professional Home Inspections, Termite Inspections, Radon Testing, Septic Inspections and Water Quality Tests to Springfield, Illinois and surrounding areas. Dave and Jim House are co-owners of Safe House Home Inspections and have been providing professional home inspections to realtors, home buyers, home sellers and building contractors in Central Illinois for nearly 10 Years. With close to 20 years of combined experience, this Father and Son team has earned the confidence and trust from home buyers and sellers along with the real estate community throughout central Illinois. Jim has worked in the building and trades industry for over 30 years. Jim was a state firefighter for over 20 years and served proudly in the U.S. Military until his retirement in 2010. The safety of his family has always been paramount and that attention to detail is utilized during every inspection he performs for his clients. Dave has worked side by side with his Father Jim in the building and trades industry for over 10 years and this partnership has given him the opportunity to apply that knowledge and training into each and every home inspection he performs. Together with their combined experience and dedication, they provide you with the security of knowing that you have purchased a Safe House. We are taking advantage of today’s technology to help us maximize our services within every inspection. Equipped with satellite positioning, 4K video, 12-megapixel camera and an ultra-precise 3-axis gimbal for camera stabilization. 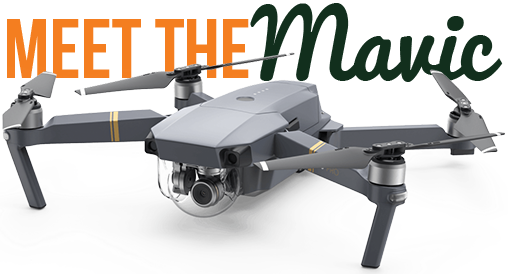 This allows us to capture those questionable areas due to steep grades, obstacles, and out-of-reach areas with a live, first-person view (FPV). In certain scenarios, we will implement this technology to your advantage. After capturing pictures and/or video – we can include this in your final Home Inspection Report. Our goal is to stay on top of the latest and greatest tools on the market to help us do our job better. Contact Jim or Dave with any questions regarding this technology and how it might help you. $35 OFF offer applies to first time inspections only. Valid on all inspections booked and paid for online this month only. Contact customer service with any questions. FREE $25.00 VISA GIFT CARD applies when your referral (family or friend) schedules and pays for a full price service. No limit on number referrals. Get started below. I have never had such a pleasurable experience with a home inspection company! The inspector was courteous, professional, and a pleasure to work with. Thank you! We have used Safe House for many of our listings. They set up appointments promptly, show up when they are supposed to, and do excellent work. I would highly recommend Safe House! If you need a home inspection give these guys a call!!! I’ve known Jim and Dave House basically since birth and they are amazing. We have used them for all our home and termites inspection services for all our family's new home purchases.